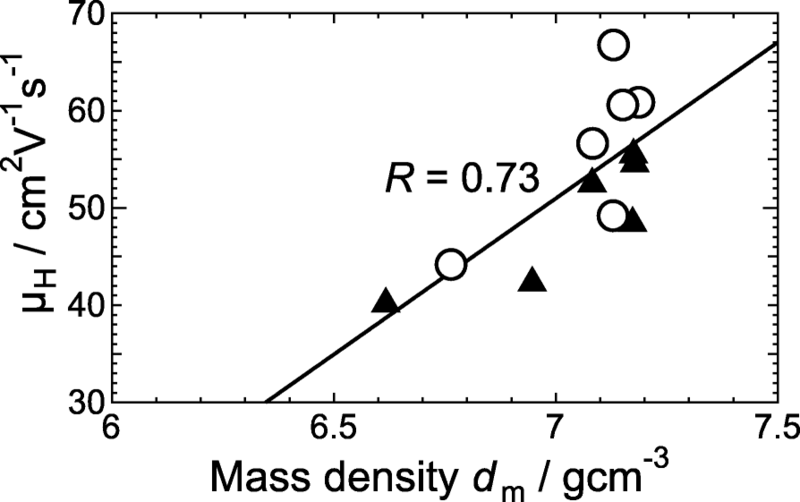 We demonstrated that a mass density and size effect are dominant factors to limit the transport properties of very thin amorphous Sn-doped In2O3 (a-ITO) films. a-ITO films with various thicknesses (t) ranging from 5 to 50 nm were deposited on non-alkali glass substrates without intentional heating of the substrates by reactive plasma deposition with direct-current arc discharge. a-ITO films with t of more than 10 nm showed a high Hall mobility (μH) of more than 50 cm2/V s. For 5-nm-thick a-ITO films, we found that μH was as high as more than 40 cm2/V s. X-ray reflectivity measurement results revealed that the mass density (dm) determined the carrier transport in a-ITO films. For a-ITO films with t of more than 10 nm, dm had a high value of 7.2 g/cm3, whereas a-ITO films with t of less than 10 nm had low dm ranging from 6.6 to 6.8 g/cm3. 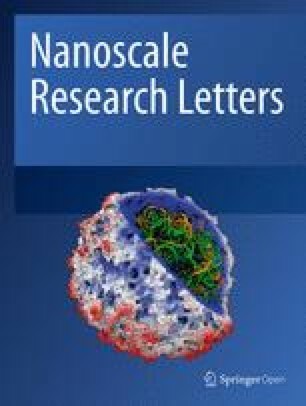 Quantitative new insight from a size effect on the carrier transport is given for a-ITO films with t of less than 10 nm. This study shows that the ratio of t to mean free path of carrier electrons governed μH. Sn-doped indium oxide (ITO) has been mostly applied to transparent conducting oxide (TCO) films. Indium oxide (In2O3) has a bixbyite crystal structure (space group Ia-3, number 206), which comprises distorted InO6 octahedra containing some oxygen defects. This is a periodic structure that produces structural vacancies (Vstr). Both an oxygen (O) and a structural vacancy are shared between adjacent polyhedra with the result that the polyhedra are joined at a corner occupied by the O, which is referred to as corner sharing hereafter. On the other hand, two O atoms are shared between adjacent polyhedra with the result that the polyhedral are joined along the entire edge, referred to as edge sharing hereafter. The edge-sharing structure allows a large overlap between the wavefunctions of 5s and 5p orbitals of the valence electrons of In atoms owing to the short interatomic distance of about 0.334 nm between In atoms, which should provide a high carrier mobility [1, 2]. In particular, toward widening the optically transparent range from the visible to the near-infrared spectral region for applications such as solar cells, a high Hall mobility (μH) of more than 100 cm2/V s has recently been reported for hydrogenated  and Ce-doped hydrogenated  In2O3-based polycrystalline TCO films. Most of the papers on ITO films have focused on their application as TCO films for which the typical thickness (t) is more than 50 nm . In fact, because a TCO layer is used as an antireflection layer in a solar cell, t is fixed to approximately 75 nm . For this value, the carrier transport properties can be described as those of a bulk material. On the other hand, there are few papers on very thin ITO films with t of less than 50 nm because thinner TCO films have a high electrical sheet resistance, making them unsuitable for applications. Shigesato et al. reported the electrical properties of very thin amorphous-phase ITO (a-ITO) films deposited by sputtering at the initial stage of growth . 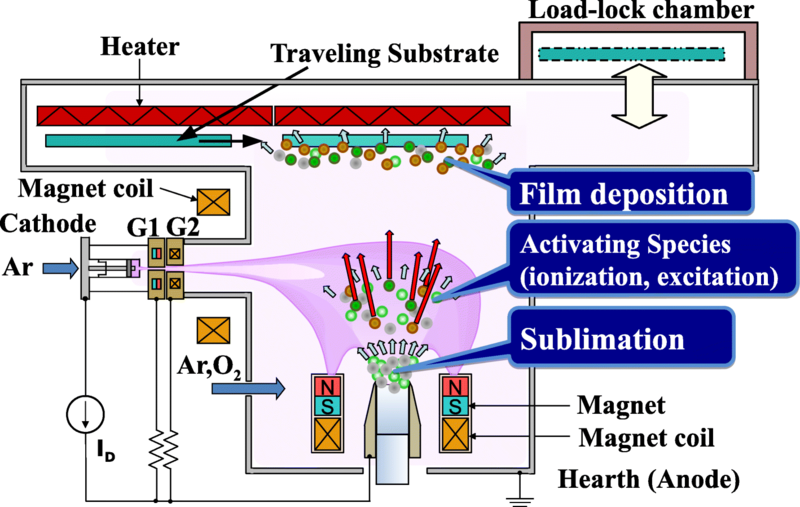 The maximum μH was 40 cm2/V s for a-ITO films with t of 20 nm, and there was an abrupt decrease in μH with decreasing t. The initial stage of the growth of films deposited by pulsed-laser deposition (PLD) was also reported , where the article focused on the critical thickness and the detailed transport mechanism was not discussed. The scattering mechanisms which include grain boundary and intragrain scattering mechanism originated by various scattering centers such as phonons, ionized impurities, and neutral impurities have been discussed for degenerated polycrystalline ITO films . In contrast, for a-ITO films with no grain boundaries, the randomness of the In–O polyhedral-based network with short-range order should be taken into account. A preliminary analysis of amorphous zinc-doped In2O3 (a-IZO) films was reported  that was based on a defect model . Utsuno et al. investigated the bonding states of both a- and crystalized In2O3 by a simulation analysis of grazing incidence X-ray scattering . Buchholz et al. focused on the mass density of a-In2O3 films . 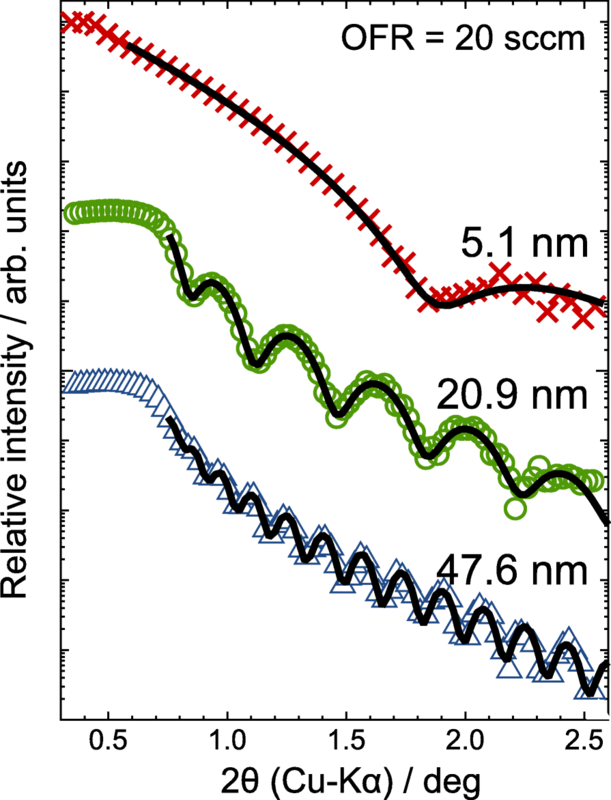 However, a comprehensive understanding of the dominant factors limiting carrier transport in a-In2O3-related systems, particularly very thin films, is still lacking because there has been no report directly showing the origin of the scattering factors. In this work, we used ion plating with direct-current (DC) arc discharge of which product name is reactive plasma deposition (RPD) that has been commercially employed . RPD with a high growth rate [14, 15] enables the fabrication of films with a uniform spatial distribution of t prepared on large substrates with a size such as 1.5 × 1.5 m2. In addition, we have recently fabricated a dense ZnO film with a thickness of 10 nm . The use of RPD is thus expected to enable a reliable study of the carrier transport in very thin a-ITO films toward achieving high μH TCOs. In this paper, we report the successful fabrication of very thin TCO films (t < 50 nm) based on a-ITO films with a high μH by using RPD. We found that the mass density (dm) is the most important factor for describing the carrier transport properties of the a-ITO system. We also reveal the relationship between μH and dm. ITO films were grown on non-alkali glass substrates (Corning Eagle XG) using RPD apparatus (Sumitomo Heavy Industries, Ltd.) shown in Fig. 1. The exposure of arc plasma of electropositive argon (Ar+) ions and electrons generated by the pressure gradient Uramoto gun  to a source material made from In2O3 with a 5 wt.% corresponding to 4.6 at.% content of SnO2 leads to the sublimation of the source. Subsequently, some of the vaporized atoms such as In, Sn, and O change to electropositive ions such as In+, Sn+, and O+ ions, respectively, as results of the interactions with electrons. The source material pressed with a cylindrical form (height of 40 mm and a diameter of 30 mm) and sintered was used. The flow rates of Ar gas introduced into the deposition chamber and into a plasma gun were 25 and 40 sccm, respectively. The a-ITO films with t ranging from 5 to 50 nm were fabricated with an oxygen (O2) gas flow rate (OFR) of 20 or 30 sccm without intentional heating of the substrate (the substrate temperature was of less than 70 °C as a result of arc-plasma exposure). The total pressure during the growth was 0.3 Pa. The typical growth rate was 3.6 nm/s. A thickness t was controlled by changing the traveling speed of the substrate . X-ray diffraction (XRD) and X-ray reflectivity (XRR) measurements were performed with a Rigaku ATX-G diffractometer having an X-ray source of Cu-Kα (wavelength of 0.15405 nm) to determine the structural properties of a-ITO films. Both XRD and XRR measurements were carried out with the same 2θ/ω configuration. The roughness and thickness of the samples were evaluated from an analysis of the XRR measurement results. An auxiliary measurement of the thicknesses was performed by using Dektak 6M stylus surface profiler (Bruker Corporation). The electrical properties at room temperature were evaluated in a van der Pauw geometry by using Nanometrics HL5500PC measurement system. RPD equipment used in this work has been employed as a mass production usage. The spatial uniformity and the reproducibility of physical properties (including transport and thickness) of fabricated films are already ensured within ± 5% [19, 20]. Note that all the data points obtained by single measurements are sufficient in reliability. No peaks were detected by XRD measurements for all the sample films, which indicates amorphous-phase films. XRR is a powerful and nondestructive technique used to study t and dm for a-ITO films. In this work, t and dm were estimated by using the XRR measurement results based on a two-layer model with an a-ITO film surface and a rough interface (ITO/glass) . Taking into account the fact that dm derived from the critical angle of an XRR profile corresponds to the mass density near the surface of a film, in this work, we determined dm values from the amplitude of the oscillation for the total reflection. The results enabled us to study the relationship between dm and the carrier mobility averaged over the whole films determined by Hall effect measurements. Figure 2 displays XRR spectra of a-ITO films with t of 5.1, 20.9, and 47.6 nm grown at an OFR of 20 sccm. For all the a-ITO films, the measured XRR curves were very well fitted by the two-layer model, as shown by the black solid curves in Fig. 2. 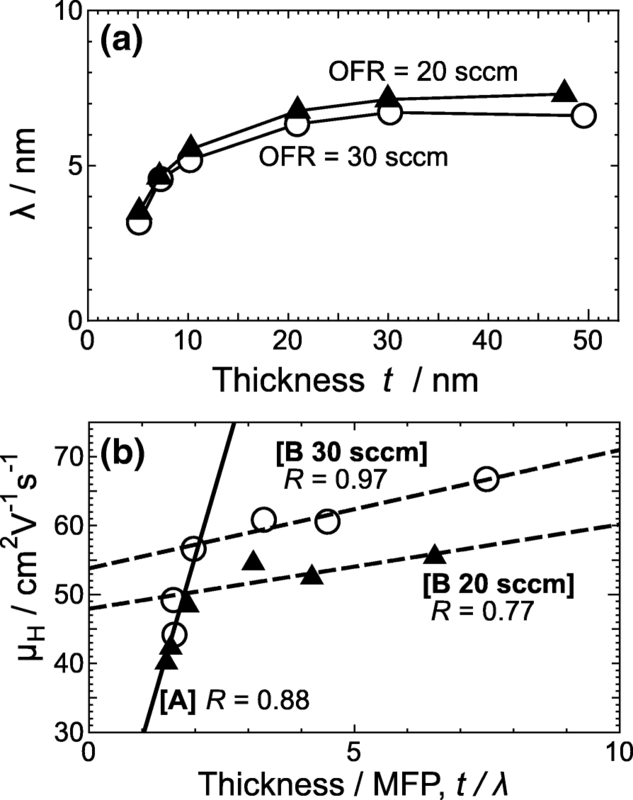 Table 1 summarizes t, dm, surface roughness rs, and interface roughness ri for a-ITO films determined by the XRR measurements. The thickness t of all the ITO films had a good agreement with those estimated by a stylus surface profiler. The values of rs and ri were around 1 nm irrespective to t and OFR. Figure 3 also shows dm with an accuracy of ± 0.1 g/cm3  as a function of t, which was evaluated from the XRR measurements. The a-ITO films with t of more than 10 nm exhibited dm of about 7.2 g/cm3, which was almost the same as that of bulk ITO . 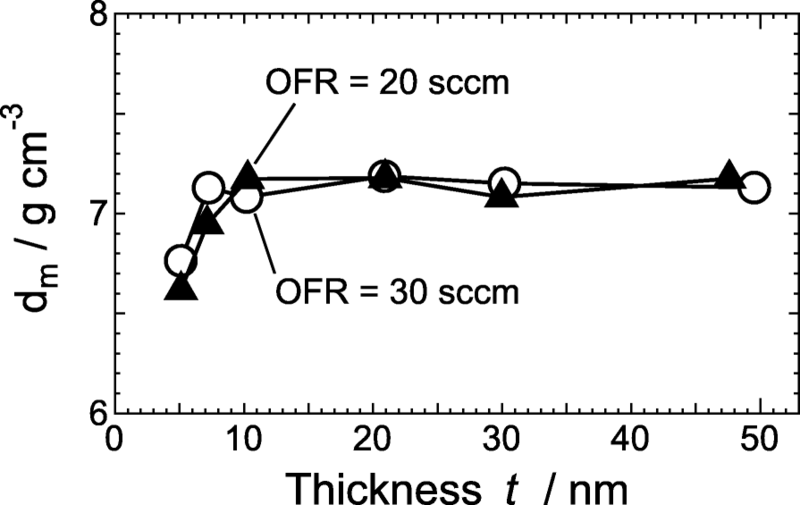 The dm for a-ITO films with t below 7 nm decreased abruptly with decreasing t regardless of the OFR; the dm values of 5-nm-thick a-ITO films with OFRs of 20 and 30 sccm were 6.6 and 6.8 g/cm3, respectively. Figure 4 shows (a) electrical resistivity ρ, (b) carrier density ne, and (c) μH for a-ITO films at OFRs of 20 and 30 sccm determined by Hall effect measurements at room temperature. 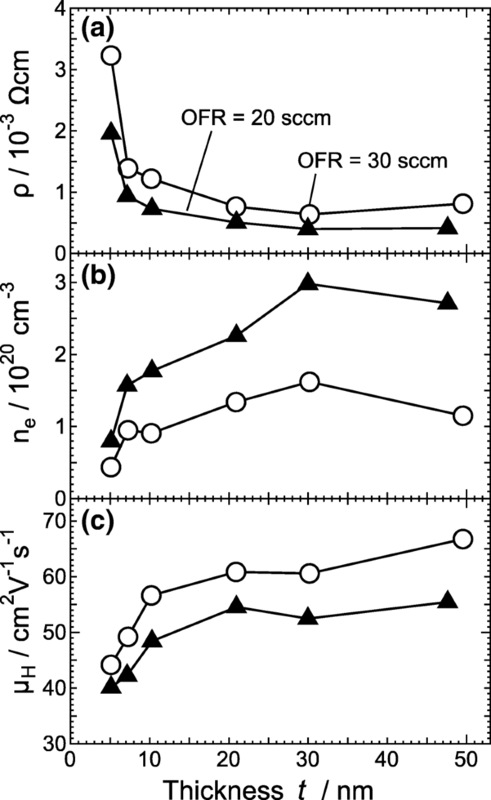 At any given t, ne for a-ITO films at an OFR of 20 sccm was larger than that for a-ITO films at an OFR of 30 sccm, whereas μH for a-ITO films at an OFR of 20 sccm was smaller than that for a-ITO films at an OFR of 30 sccm. This suggests that the ionized impurity scattering mechanism is one of the factors determining the ne-dependent μH for a-ITO films. The above suggested OFR dependence of ne implies that oxygen vacancies can play a role as donor defects under the following assumptions: (1) the OFR dependence of the residual amount of Sn dopants and of the doping efficiency of the Sn donors is very small compared to the OFR dependence of the density of oxygen vacancies and (2) the density of oxygen vacancies generating shallow donor levels decreases with increasing OFR. Note that for t of less than 30 nm, it was found that μH increased with ne, which cannot be explained by conventional ionized scattering. This implies that the carrier transport is governed by another factor, such as a size effect, which will be discussed later, for a-ITO films. In the case of sputtering  and PLD , the reported critical thickness was 4 nm, where a three-dimensional (3D) process turned out to be dominant and the coalescence of islands was not completed. In such films, μH will be significantly small around the critical thickness. For a-ITO films deposited by RPD, the relative decrease in μH at a t of 5 nm was less than 30% compared with that for a-ITO films with t of more than 10 nm. This suggests that RPD produces ITO films exhibiting growth via a two-dimensional (2D) process, which has already been proved for ZnO films . Figure 5 shows the dependence of μH on dm for a-ITO films at OFRs of 20 and 30 sccm. We found that μH and dm have a strong positive correlation with its high correlation coefficient of 0.73. The results of the analysis of grazing incidence X-ray scattering by simulation suggest that a-In2O3 has more corner-sharing In–O–In bonds than crystalline In2O3 (Fig. 6a) [11, 12, 22]. If we assume that a-ITO films also have more corner-sharing In–O–In bonds than crystalline ITO films (see Fig. 6b for the model), the generation of an added vacant defect of an O atom (Vadd) in two edge-sharing O–O promotes the change in polyhedra from edge sharing to corner sharing. Subsequently, the polyhedra can rotate along an edge, thereby separating adjacent polyhedra, resulting in disjoint corner-sharing polyhedra (see Fig. 6c for the resulting model). This will result in a-ITO films with low dm together with a reduced In–O coordination number, corresponding to the very thin a-ITO films with thicknesses of less than 10 nm. In such films, the In–In interatomic distance between the corner-shared In–O polyhedral is increased. This reduces the overlap of the wavefunctions of In valence 5s and 5p orbitals, resulting in low carrier transport together with the transformation of excess electrons provided by n-type defects, such as Sn substituting In atoms and O vacancies, from delocalized to localized states. We confirmed reduced ne and μH for 5-nm-thick a-ITO films as respectively shown in Figs. 4b and c. The above discussion combined with the experimental results leads to the conclusion that the carrier transport of a-In2O3 films is strongly governed by dm, which determines the proportion of corner-sharing In–O polyhedra. In this study, we took μH as μ and assumed that this model can be adopted for the a-ITO films. Figure 7a shows λ as a function of t. With increasing t up to 10 nm, λ increased sharply. With further increasing t, λ increased slowly, then tended to remain almost constant. This behavior of λ did not depend on the OFR owing to the compensation of effects between ne and μH. To clarify the above size effect, μH was plotted as a function of t/λ, in Fig. 7b. This relationship clearly reveals that there is a bending of a slope at t/λ ~ 2, which corresponds to t = 10 nm. The slope [A] in Fig. 7b is a fitted line for all of the data with t ≤ 10 nm and those two named [B 20 sccm] and [B 30 sccm] are ones for the data with t ≥ 10 nm, grown at OFRs of 20 and 30 sccm, respectively. It is obviously seen that those slopes have high correlation coefficients of more than 0.75. This indicates that the dependence of λ on the transport properties of the a-ITO films was found to change at t of 10 nm. Taking into account the fact that λ is comparable to t for very thin a-ITO films, we conclude that the reflection of carriers on both the surface and the interface should also be a dominant factor determining μH. We successfully fabricated very thin a-ITO films with a high μH on glass substrates by using RPD. The relatively high dm together with the high μH for a small t suggests almost 2D initial growth. 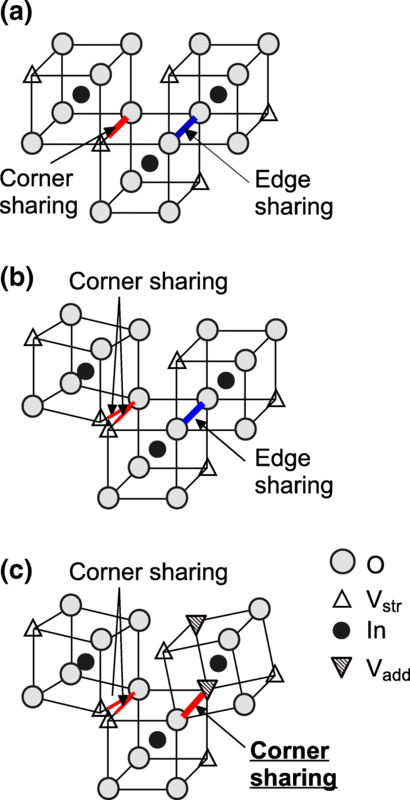 We found that dm is a dominant factor limiting the carrier transport of the a-ITO system, which is considered to be caused by the existence of corner-sharing In–O polyhedra in a matrix of edge-sharing In–O polyhedra-based network. For a-ITO films with t of less than 10 nm, the properties of the carrier transport can be characterized in terms of both dm and λ for carriers. On the other hand, for a-ITO films with t of more than 10 nm, the carrier transport can be mainly described within the framework of bulk ITO without the surface or interface scattering of carriers. As the next step, we will determine the lattice structures of a-ITO films with various thicknesses. The authors gratefully acknowledge Mr. Toshiyuki Sakemi and Mr. Hisashi Kitami of Sumitomo Heavy Industries, Ltd., for their helpful discussions during this study. This study was supported by a collaboration with Sumitomo Heavy Industries, Ltd. The data and the analysis in the current work are available from the corresponding authors on reasonable request. YF measured XRR and Hall effects of all the ITO samples and wrote the manuscript. YF and TY constructed models determining the factors limiting the carrier transport. MM fabricated all the ITO samples in this study after optimizing the deposition conditions for the film growth. All authors read and approved the final manuscript.